Click on the picture for enlarged version. 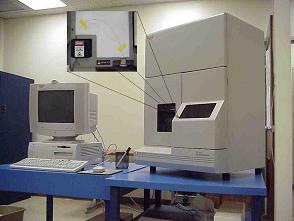 Deoxyribonucleic Acid (DNA) testing using samples of bone. Till now, NFSL has been able to carry out DNA testing only on fresh blood. This sort of DNA testing is useful mainly to establish parental relationship in property disputes rather than in assisting police investigating serious crime. 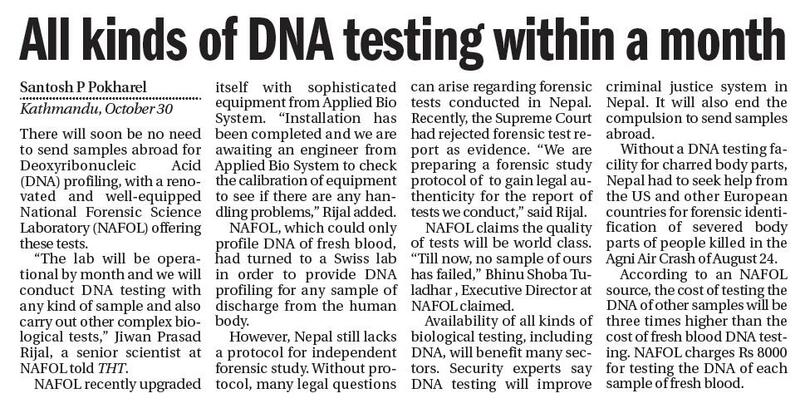 “We will very soon introduce the new technology of DNA testing that uses samples of bone,” Vinushobha Tuladhar, director of NFSL, told myrepublica.com. With the advent of by-bone DNA profiling, NFSL is expected to assist not only the police in probing crime but also various human rights organizations with the identification of bodies buried in mass graves during the decade-long conflict. Identification of those killed in the conflict has been next to impossible so far owing to lack of by-bone DNA testing technology. It has prolonged the sorrow of people desperate to know the whereabouts of family members who went missing in the conflict. The National Planning Commission has pledged assistance to NFSL to introduce the new technology, which is estimated to cost around five million rupees including purchase of a set of software and the kits required. 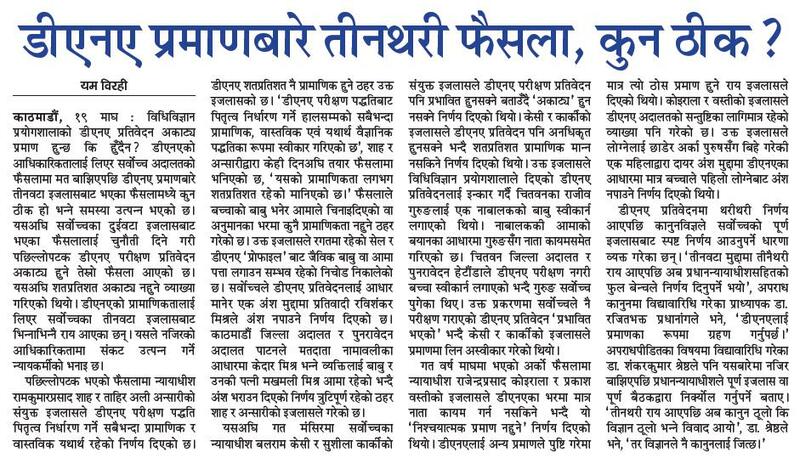 “We will purchase these instruments soon after we collect the money,” Tuladhar said.According to the latest report published by ICRC, the whereabouts of 1,348 persons who went missing during the conflict have not been confirmed yet. The government and the insurgents, responsible for the disappearances, seem to be indifferent to the sorrow of the families affected.In the Comprehensive Peace Agreement (CPA), the government and the Maoists had agreed to publicize details about all missing persons.The reliability of DNA testing by bone largely depends on how carefully samples are collected. The result of DNA tests will not be correct if bone samples are degraded. Bone degradation depends on the atmosphere at the places where the samples are collected.